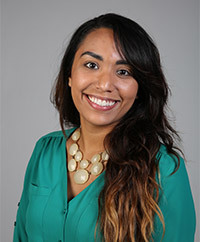 Brianna joined the Title IX Office in June 2016 as an administrative manager. She coordinates all internal, operational aspects of services provided by the Title IX Office and supports the Title IX Coordinator in an administrative capacity. As an administrative manager, Brianna maintains internal records and schedules hearings, report reviews, meetings and events. Brianna manages the Title IX Coordinator’s calendar and monitors the Title IX Office workflow, including scheduling intake meetings, taking direct calls and ensuring appropriate follow up, thereby providing a full range of clerical support for the coordinator and the office, while maintaining utmost confidentiality.